Unless you’ve been living under a rock for the last week you’ve probably heard by now that Sony Pictures and Marvel have stuck a deal that allows Spider-Man to come into the Marvel cinematic universe. 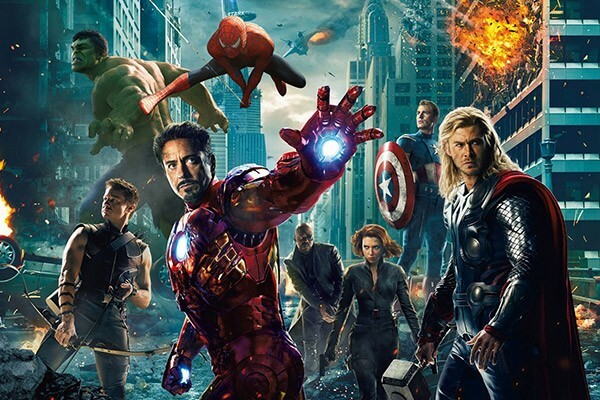 According to the press release, Spidey will make a cameo appearance in a future MCU film, will get a solo film made and distributed by Sony but with the “help” of Marvel, and then he’ll appear in other Marvel films afterwards, almost assuredly the two part Avengers: Infinity War. Under this new deal, Sony will be able to also be able to use MCU characters like Cap and Iron Man in their solo Spidey films. 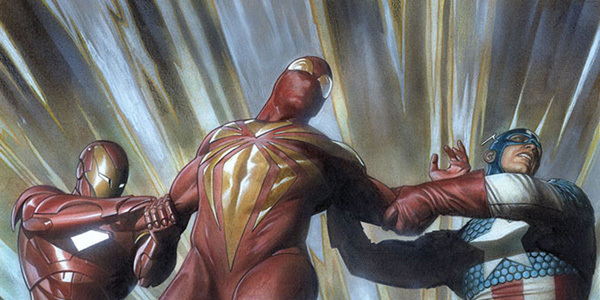 So basically, Sony’s Spidey universe is going to be an extension of the MCU proper. This deal has been rumored ever since the Sony e-mail leaks, and it’s been no secret that Sony’s Amazing Spider-Man films didn’t do as amazing at the box office or with fan and critic reception as everyone hoped. Sony’s movie studio has been on the ropes financially for a while now, and this new deal with Marvel is very obviously an attempt to save themselves. While the announcement maintains that Sony will have creative control, the safe assumption is it’ll be Marvel Studios President Kevin Feige that’ll be the real brains behind the new Spidey and the rest was just Sony saving face. Who Will Be Behind The Mask? Neither Marvel nor Sony is going to pass over the opportunity to cash in on 20+ Spider-Man appearances. It’s very likely that whoever they sign to play Peter Parker will be signed to a 9-10 picture contract much like everyone else in the MCU has. History has also shown us how expensive it can be to extend that contract once it’s up. So why shoot themselves in the foot when they can do 9-10 pictures with Peter Parker’s Spider-Man, and then have a fresh Spider-Man story and a fresh 10 picture contract waiting for whoever they get to play Miles Morales, all without having to reboot? After fighting as long and as hard as they have to be able to use Spider-Man, Marvel isn’t going to throw away the rich well of storytelling potential that Peter Parker brings to the table that has yet to be tapped. While both iterations of Pater Parker/Spider-Man were good in their own right, neither ever fully captured the comic character that fans have known and loved for decades. More importantly, it could be argued that none of the movies have done justice to the villains. Yes, the first Green Goblin and Doc Ock were both pretty good, but they weren’t as good as they could have been, and they certainly weren’t quite like their comics counterparts. For example: Norman Osborn has the potential to be a Marvel Phase-Level threat if done right, even without ever having to actually be the Green Goblin (especially if they loosely follow the post-Civil War comics story lines). Likewise, while Doctor Octopus was done beautifully in Spider-Man 2, that version of the character was nothing like his comics counterpart, who is an egocentric megalomaniac. Let’s not even discuss the butchering of fan favorite Venom. Marvel has the opportunity to develop a MCU version of their flagship character while at the same time enriching the MCU with a much-needed injection of great villains. 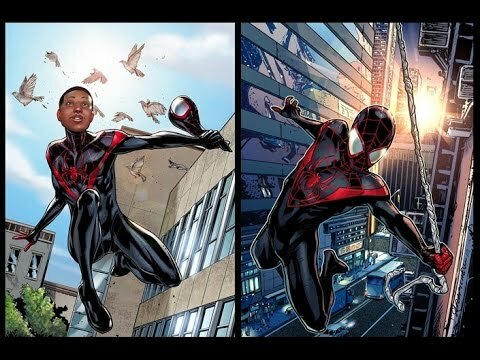 This isn’t only a great opportunity for Peter Parker fans, it’s ultimately great for Miles Morales fans (like me). 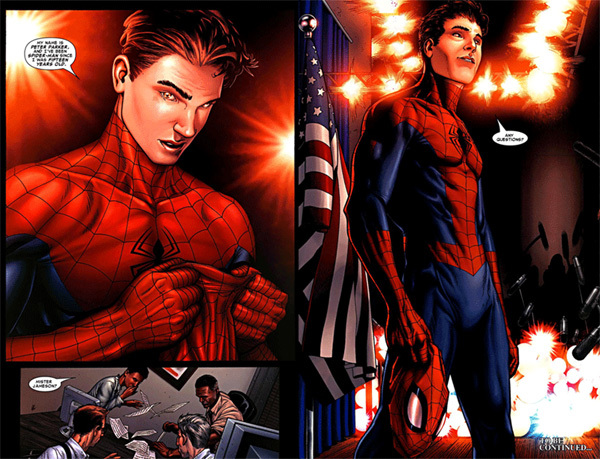 A large part of Miles’ story centers around living up to the legacy of Peter Parker. 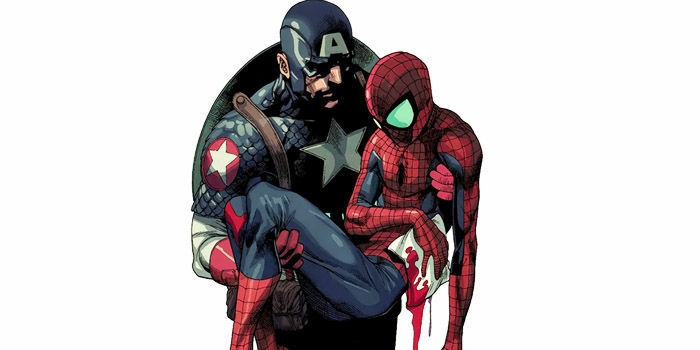 It is central to the character and his journey in accepting the mantle, and the responsibility, of being Spider-Man. 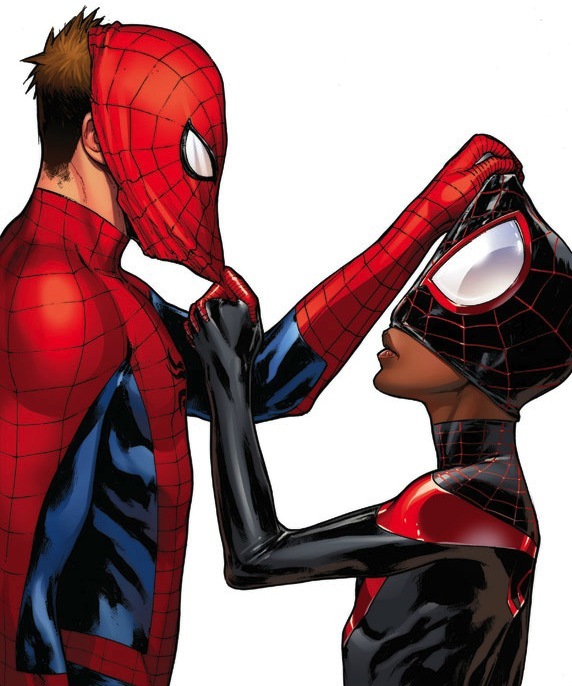 While Marvel/Sony could certainly skip Peter and go straight to Miles, and even do it well, it would be ultimately short changing the character and themselves. Right now they have the opportunity to bring to life the amazing (see what I did there?) and rich tapestry of Peter’s legacy as a hero in a way that they haven’t been able to in the past. This is their chance to really make the MCU a living incarnation of the comics we have loved for decades and then to pass that torch to the next generation of characters. Miles Morales is a great character. I enjoy reading about him just as much as I did Peter, but a large part of that enjoyment has been rooted in seeing this new kid with amazing powers struggling to adapt to his new life while at the same time honoring the legacy that Peter left behind. Spider-Man unmasks on live T.V. and tells the world he’s Peter Parker in support of Tony Stark and the Registration Act. While that may still happen in the movie versions, I don’t think it’s likely for two key reasons. One, it wouldn’t have near the impact that it did in the comics because right now no one in the MCU knows anything about Spider-Man. He hasn’t been swinging around New York for decades like he had been in the comics by that point, so who cares if he unmasks? Two, because this version of Civil War isn’t going to be about protecting identity as much as the comics. Kevin Feige already said as much. In the current MCU secret identities are largely not a big deal. Everyone already knows who the Avengers are. With the exception of Daredevil by that point, no one has one. Registration will be about control and freedom, so having Spider-Man unmask just won’t be as big a deal as having him register and show support for government oversight. My guess will be that Black Panther and Spidey will be the two new kids on the block being courted by Tony and Cap and they each pick a side. I guess we’ll find out soon.What do you think about all of this? Are you happy that Spidey has “come home”? Do you agree that they should start with Peter and work towards Miles, or are you tired of Peter’s story? Let me know in the comments. J.R. Broadwater is the author of the non-fiction book Down with the Thickness: Viewing the World From a Fat Guy’s Perspective, the sci-fi detective novel You Only Die Twice, the fantasy novels The Chosen: Rebirthing Part 1 & 2, and the superhero tale Just Super, all available now in digital and paperback formats. Sample chapters and more information about these books can be found here. Kindle editions are all available for $0.99.